May 1st – also known as May Day – is International Workers’ Day. May Day has typically served to celebrate the contributions of working people and raise the voices of immigrant communities. 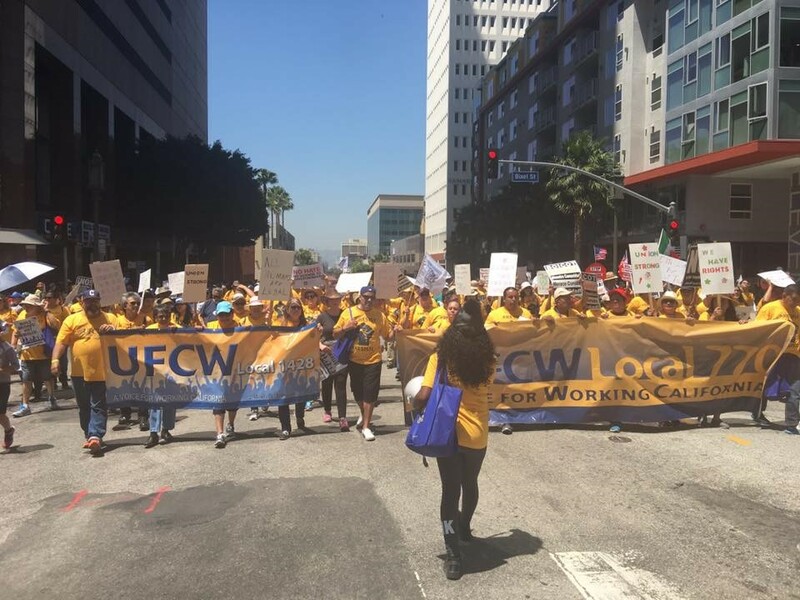 This year, UFCW expanded the scope of traditional May Day celebrations to further motivate, educate, and activate workers and supporters to serve to fight regressive politics in our power institutions. When Workers Rights are under attack what do we do? Stand Up Fight Back! When working people across sectors and borders come together in solidarity, we can build better, safer and stronger communities. We march to build bridges, not walls. We march for worker and immigrant rights and to protest travel bans. We march for love and acceptance, not hate. We reject policies that criminalize working people, encourage racial or ethnic profiling, and erode due process. We march for equality for all.